Bond Archives Delayed Slightly - Bella Sara Treasures & Miniatures Price Increase Coming Soon! We found out this week that the James Bond Archives release was pushed back a few days to make sure the Olga Kurylenko autograph cards are included. We now expect to ship orders on April 1st (no fooling!). We also found out this week that Bella Sara Treasures and Bella Sara Series 1 Miniatures will be arriving this month! We expect to ship both by February 24th. We are currently selling Treasures boosters for $56 and value boxes for $8. On Monday, February 2nd, we will be raising our booster box price $58. We are currently selling Series 1 Miniatures 20-pack boxes for $25 and 40-pack boxes for $49. On Monday, we will raise those prices to $26 and $50. Please place your pre-orders before Monday to take advantage of our lowest prices! The next Pokemon expansion, Platinum, is coming soon! We have boosters available for $87, 6-box booster cases for just $516, and theme deck boxes for $64. The set introduces a new never-before-seen Pokemon, all new trainer specific Pokemon, a new game play area called the Lost Zone, and two new decks built around the secret Pokemon and Giratina. There are 130 cards in the Platinum set. On Friday, January 30th, we will be raising our booster box price to $88 and booster case price to $522. If you are planning to place a Platinum pre-order, please do so before Friday! We are now accepting pre-orders for Breygent Marketing's 2009 Vintage Movie Posters trading card set. In addition to the 72-card base set and three 9-card chase sets, collectors can look for prop cards, cut autograph cards, and costume cards. Every box will include 2 vintage costume cards (including items like Lou Costello's bow tie, Lucille Ball's coat, Doris Day's gloves, and Bruce Lee's suspenders). 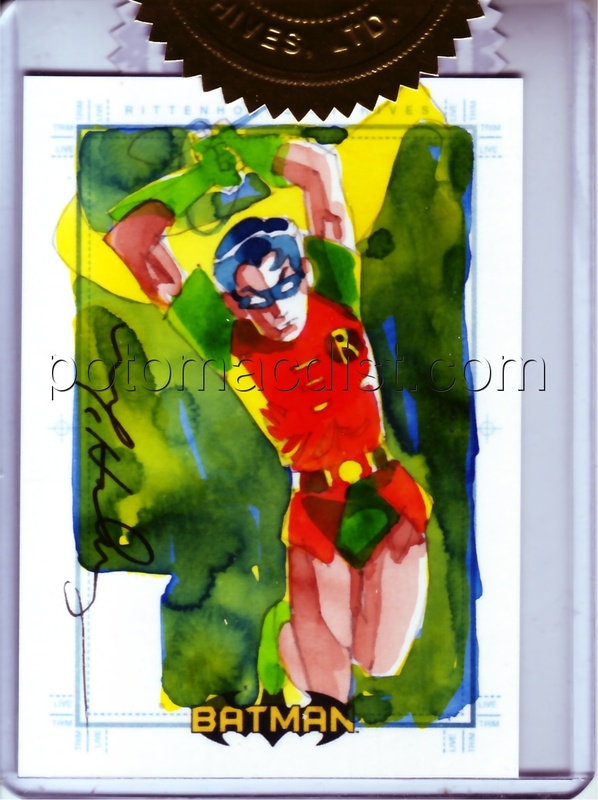 Every case will include 1 cut signature card, and 1 sketch card (randomly inserted in packs). The lineup of cut signatures if very impressive and includes Alfred Hitchcock, Boris Karloff, Charlie Chaplin, John wayne, Rock Hudson, Marlon Brando, Lucille Ball, Jane Fonda, and many more! Customers pre-ordering 3 cases receive a Babe Ruth Game-Used Bat/Yankee Stadium Brick card. Customers pre-ordering 5 cases receive a Sean Pence sketch card. This set is scheduled to release on February 27th. Now that the smoke has cleared and it is apparent that Konami will be producing Yu-Gi-Oh! going forward, we are once again accepting pre-orders for the upcoming Crimson Crisis set. We are pre-selling booster boxes for $58 each. Cases (12 boxes) are just $689. Crimson Crisis is expected to release on March 3rd. The good news we received today is that the Crimson Crisis and Yusei Duelist Pack boosters will be 1st Edition products. We know a lot of customers were disappointed when Upper Deck unexpectedly released Duelist Genesis and Crossroads of Chaos without 1st Edition logos. It looks like Konami is trying to correct that situation. Two long awaited Fantasy Flight products arrived today. Call of Cthulhu Spawn of the Sleeper Asylum Packs and A Game of Thrones: The Raven's Song Chapter Packs are now in stock. We've just added a number of new pre-sale items to our list. Fantasy Flight will be releasing the next two UFS products in March. The UFS: Soulcalibur IV Tower of Souls expansion introduces new versions of Ivy, Nightmare, and Siegfried, as well as 5 other characters. The second release, Shadowar, will be the first expansion not based on a licensed property. We also added the World of Warcraft Arena Grand Melee boxes to our pre-sale list. Each Arena Grand Melee box includes 10 sets (5 Horde & 5 Alliance). There are 80 cards in each set (19 tournament game cards, 60 Grand Melee cards, and 1 min-pet card). The set features two new exclusive heroes and ability cards for all 9 classes, and new Preparation abilities that can be played for free. Horde and Alliance sets feature different hero cards and unique Grand Melee cards, as well as a unique mini-pet card. It appears now that after a few weeks of uncertainty Konami will be officially taking over the Yu-Gi-Oh! trading card game from Upper Deck. We found out yesterday that Konami will be releasing the Yusei Duelist Pack boosters on February 24th. Upper Deck was originally planning to release them late this month. We are accepting pre-orders now. We hope to have some updated information on the Crimson Crisis expansion within the next few days. We recently sold through all of the Star Wars Galaxy 4 hobby boxes and cases that we had on order. We were able to secure a few additional cases from our secondary suppliers today, however, and we are accepting pre-orders again. We hope to ship orders placed now between February 11th (the product's street date) and February 13th. Today marked the release of L5R Glory of the Empire, one of the hottest releases we've seen in a while. All Glory of the Empire orders placed before today have been shipped. We've sold through our first two shipments of boosters. We expect to receive another shipment tomorrow or Wednesday. We will ship new orders as soon as our restock arrives. We have ceased taking pre-orders for Yu-Gi-Oh! Crimson Crisis boosters. We received news today that Upper Deck will not be releasing the expansion as originally planned. It is our understanding that Konami will be taking over production of the game. We will post new information when we receive it, and we will accept pre-orders for Crimson Crisis again once the situation is completely sorted out. If you've been watching our World of Warcraft page, you've probably noticed that we've been able to offer some great prices on the Heroes of Azeroth and Dark Portal boosters recently. We've just lowered our prices on Hunt for Ilidan and Drums of War as well. Hunt for Ilidan boosters are now just $39 (previously $47). Drums of War boosters are only $40 (previously $45). We found out today that Hidden City Games will be releasing the next Bella Sara, expansion, Treasures in March. We are now pre-selling boosters and value boxes. We expect to have more details on the set in the coming weeks. We are currently taking pre-orders for the next Magic the Gathering expansion, Conflux. We expect to ship Conflux on February 6th or February 9th. Our current prices are listed below. On Monday, January 19th, we will be raising our booster box price to $89 and our booster case price to $528. We encourage all of our Magic customers to place their pre-orders before Monday to take advantage of our best prices. There is good news for customers who have yet to place their order for L5R Glory of the Empire. We originally thought our second shipment of Glory of the Empire might not arrive until January 20th (a day after the official release date). We found out today that we should receive that shipment on time, so we should be able to ship all orders on the release date now. We still have boosters and starters available to order. Once we sell through our second shipment it could take up to a week to restock. The #1 most requested product since Thanksgiving has been Inkworks' Twilight trading card boxes. Inkworks sold out of Twilight shortly after its release, and it has been nearly impossible for us to find. Until now... We just picked up a small quantity of Twilight hobby boxes that are available for $187 each. We just received a large restock of KMC deck protectors today. There are a few changes that accompany this restock. The manufacturer has changed the packaging on the standard, matte, and Yu-Gi-Oh sized sleeves. Standard sized and matte finish deck protector units now contain 800 deck protectors (10 packs/80 protectors). Previously each unit included 1000 deck protectors. Yu-Gi-Oh size units now contain 500 deck protectors (10 packs/50 protectors). Previously each Yu-Gi-Oh sized unit included 600 protectors. The only KMC product that hasn't undergone a change is the Perfect Size Sleeves. Please note that we were able to reduce our price on the matte finish, clear, and Yu-Gi-Oh size deck protectors. We still have a limited number of some KMC sizes, styles, and colors in the old packaging. Everything will be listed in the new format on our web site going forward, but we will fill orders with the old style packaging until our supply runs out. Many of the more popular items that we were sold out of before our restock like Super Black, Pearl White, Matte Black, and Yu-Gi-Oh White are only available in the new format. We added a new Pokemon product to our pre-sale list today. The Pokemon Platinum Spring 2009 tins are expected to release in early March. We are selling cases for $115. Each case includes 9 tins, and each tin includes 4 booster packs, 1 of 3 different Level X foil cards, and a Pokemon TFG figure. We were able to reduce our price on World of Warcraft Hunt for Ilidan booster boxes today. They are now just $39 (previously $47)! Due to a high volume of orders for the upcoming L5R: Glory of the Empire boosters and starters, we have sold out of our initial shipment. However, we do expect to have an additional shipment of boosters and starters in stock by the release date, Monday, January 19th or by Tuesday, January 20th at the latest. If you have already placed an order with us, your order will ship on the 19th unless we specifically stated otherwise when we confirmed your order. Which Out-Of-Print Game Do You Miss The Most? Which out-of-print game would you most like to see brought back? Do you miss Doomtown, Rage, Babylon 5, the Star Wars CCG, or Netrunner? Or maybe something even older like Spellfire, Wyvern, or On The Edge? Let us know which game you wish was still in print, whether it is one we've listed above or not! Get Free Supplies With Your $500 Order! We are now offering free card supplies with every order you place of $500 or more! 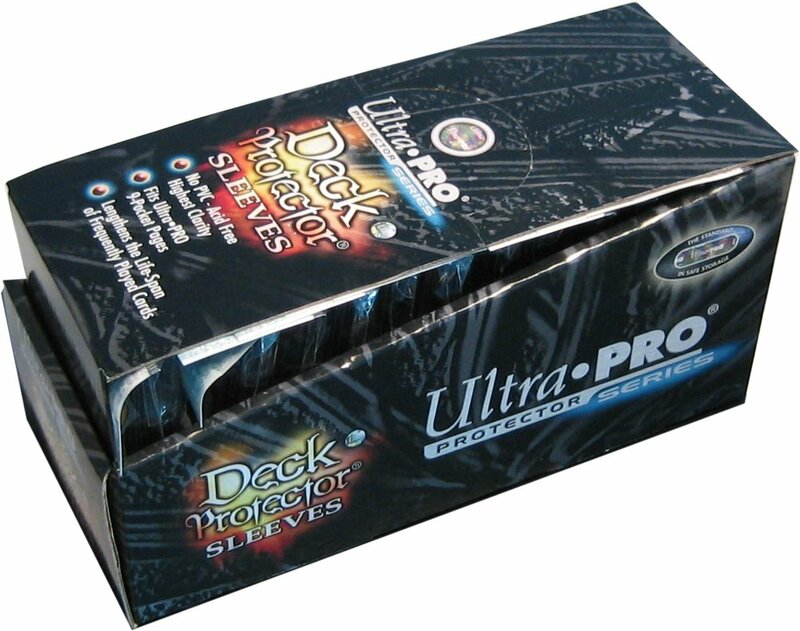 You can choose either a free box of Ultra Pro 9-Pocket Pages or a 12-pack box of Ultra Pro deck protectors (standard or Yu-Gi-Oh! sized). If you place an order of $1000 or more, you can now choose to receive either our standard 4% discount or two free boxes of the supplies listed above. Please take advantage of these offers by including the free item you would like in the "comments" section of our online order form. This offer is good through January 31st or while supplies last. Shipping charges may apply on international orders and expedited domestic orders. One of our hottest products this week is the upcoming Legend of the Five Rings expansion, Glory of the Empire. If you haven't placed your pre-order yet, please do so before Tuesday, January 13th. We will be raising our booster box and case prices then. We added Naruto Guardian of the Village Collectible Tins to our pre-sale list today. Cases are just $139 (12 tins). We are also selling sets of the three different tin designs (Naruto Uzumaki, Gaara, and Kakashi Hatake) for $42. Every tin includes a Battle of Destiny booster pack, 2 Approaching Wind booster packs, and 1 A New Chronicle booster pack, as well as 2 rare alternate image cards, and a promo card. Of course, we are also pre-selling the A New Chronicle boosters as well. For customers looking to purchase some of the KMC deck protectors that we have run out of over the past month or so, there is good news. We have a restock on the way that we hope will arrive by the end of next week. We expect to receive Matte Black, Super Black, Pearl White, Yu-Gi-Oh sized White, and Perfect Size sleeves among others. If you would like to be notified when our restock arrives, either email us at sales@potomacdist.com or click here and follow the directions. We just received some news from Rittenhouse Archives about the upcoming James Bond Archives set. Originally, Rittenhouse had indicated that customers would need to pre-order 25 cases to receive a free archive box. However, Rittenhouse has just announced that there was an error and customers only need to pre-order 15 cases to receive the free archive box. The case topper for this set is one of the most original we've seen in some time. It contains an authentic piece of the windshield from the Aston Martin used in Quantum of Solace. We announced a price reduction for Yu-Gi-Oh! Phantom Darkness boosters yesterday. We were able to lower them again today to just $63 (from $74). This is a very competitive price for one of our hottest selling Yu-Gi-Oh! products. Yu-Gi-Oh! fans have probably heard by now about the dispute between Upper Deck and Konami over which company is now in control of the trading card game. It appears that a California court has cleared the way for Upper Deck to continue releasing card sets. As a result, we are once again accepting pre-orders for Crimson Crisis boosters and Yusei Duelist Pack boosters. Both products are available by the box or by the case. While on the subject of Yu-Gi-Oh!, we were able to lower the price on two popular sellers today. We reduced our price on Duelist Genesis booster boxes to just $41 (previously $50). We also lowered the price on Phantom Darkness booster boxes to $74 (previously $82). Our Highlander Search for Vengeance restock arrived today. We have a limited number of boosters and starters available for order. A couple of new Fantasy Flight products also arrived today. UFS SNK Flames of Fame boosters and Street Fighter Warrior's Dream boosters are in stock now. The long awaited Call of Cthulhu Core Set also arrived today.